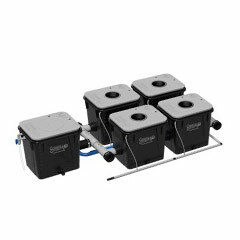 Aeroponic hydroponic kits use sprayers to deliver an oxygen infused nutrient solution directly to the root zone for dynamic growth. Deep Water Culture and Bubbleponics bathe the root zone in a highly oxygenated nutrient solution while Drip systems and Waterfarms provide a constant drip of nutrient solution. 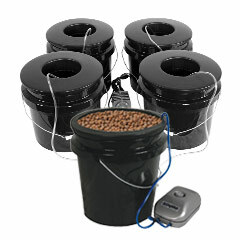 Cloning systems allow you to produce exact replicas of a €œmother plantfor easy growing without needing seeds. 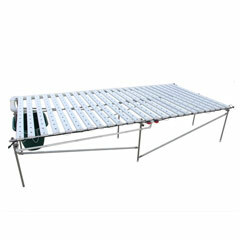 Each type of hydroponic system can be easy and will produce huge yields not typically possible with traditional gardening methods. 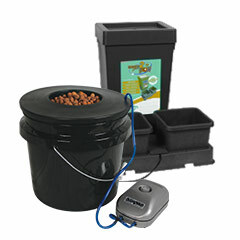 Take the guesswork out of growing and purchase one of our ready made hydroponic gardening kits to make hydroponic growing easy. 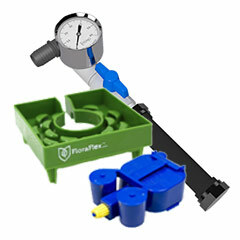 If you are more knowledgeable and want to assemble your own hydroponic kit we have all the supplies and equipment needed for a do it yourself project. 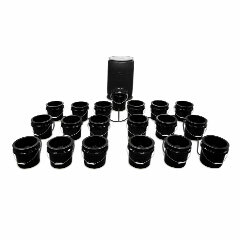 HTG Supply can help you assemble any type of hydroponic system that best fits your needs if you need assistance please contact us or visit one of our many retail locations.